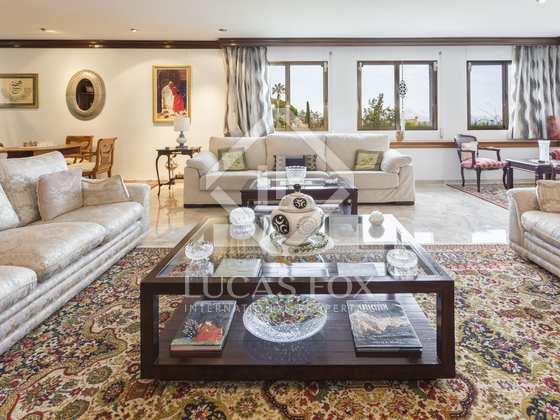 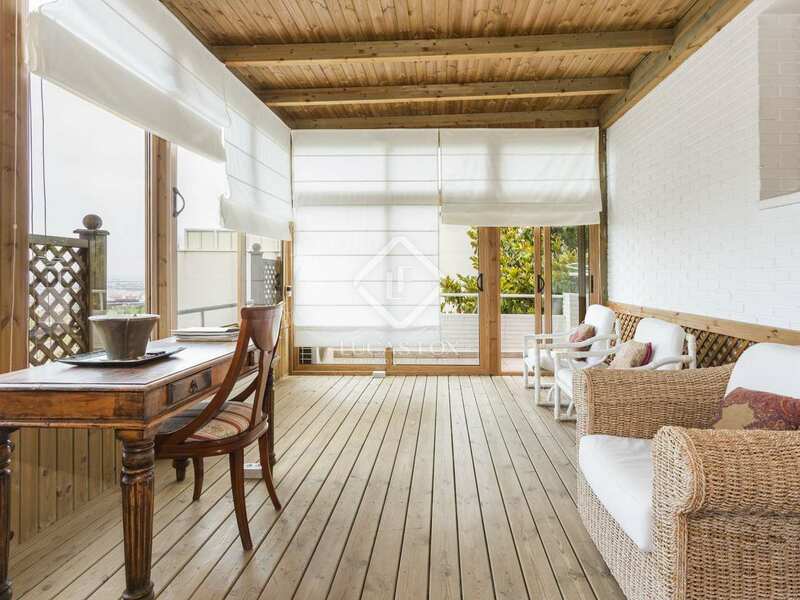 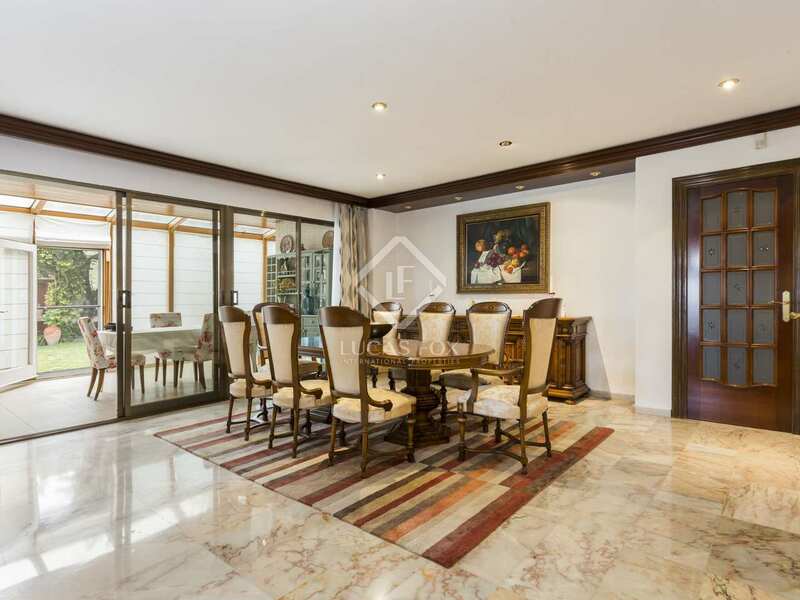 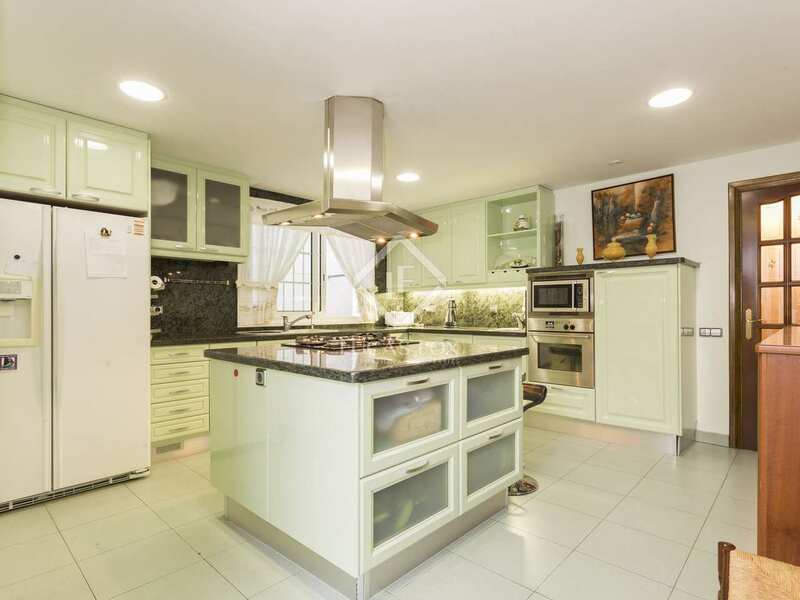 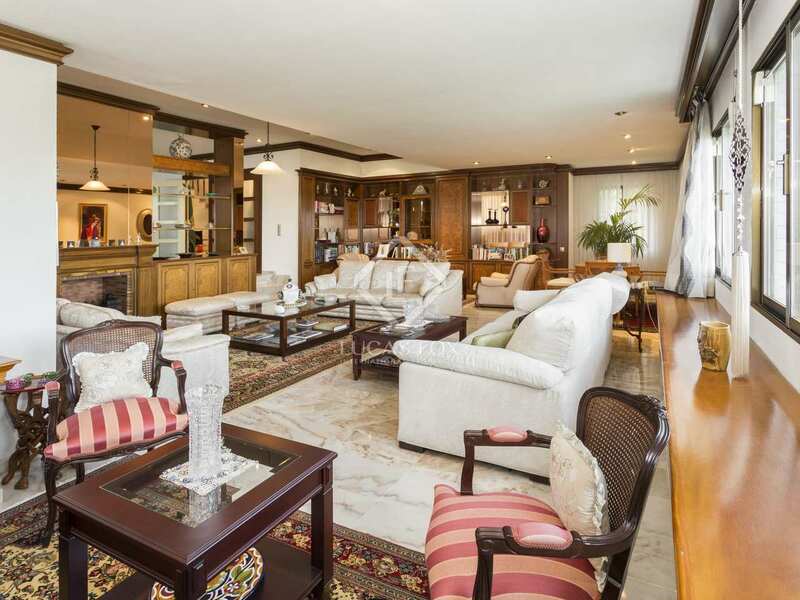 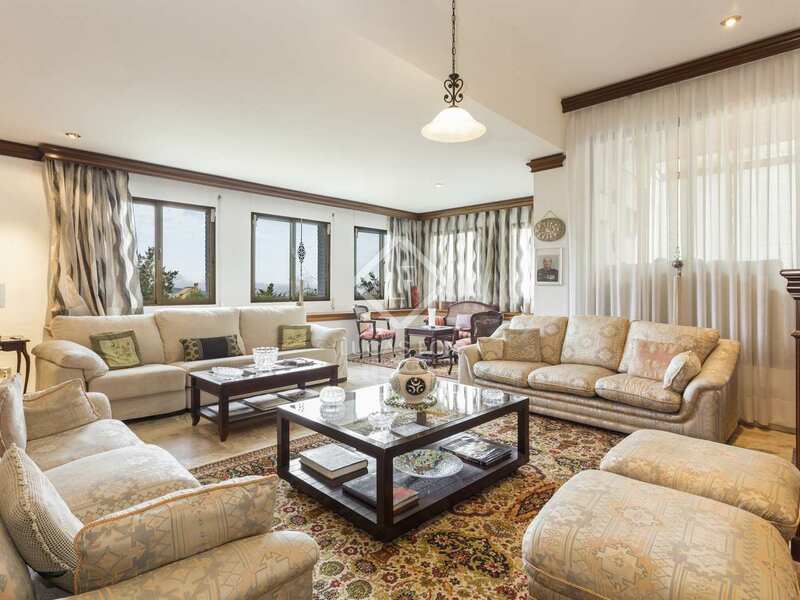 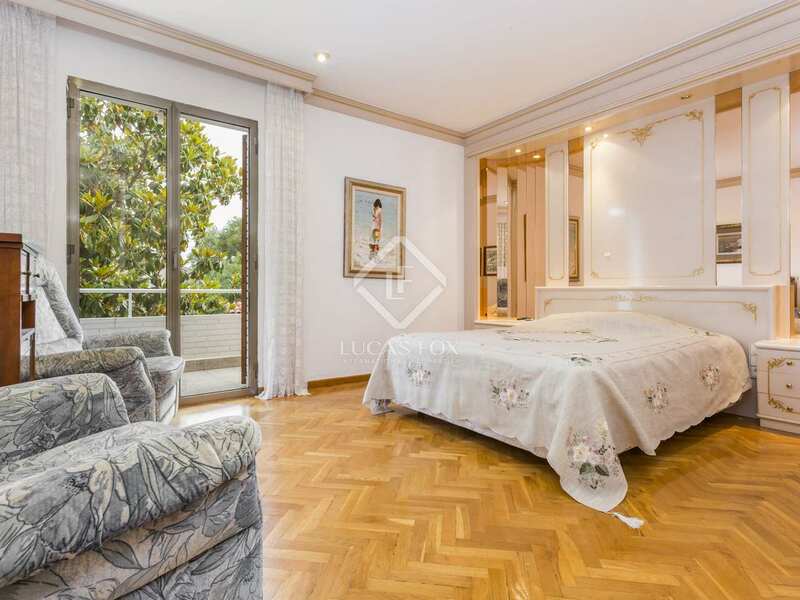 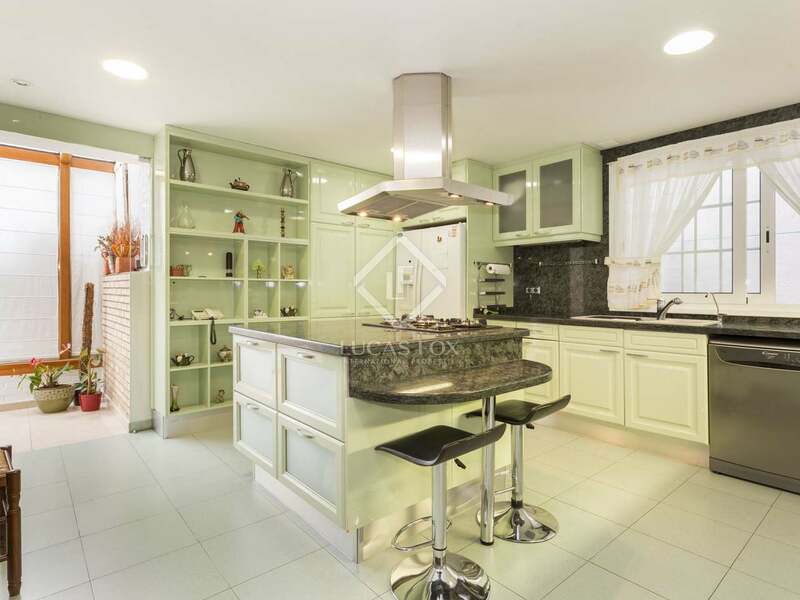 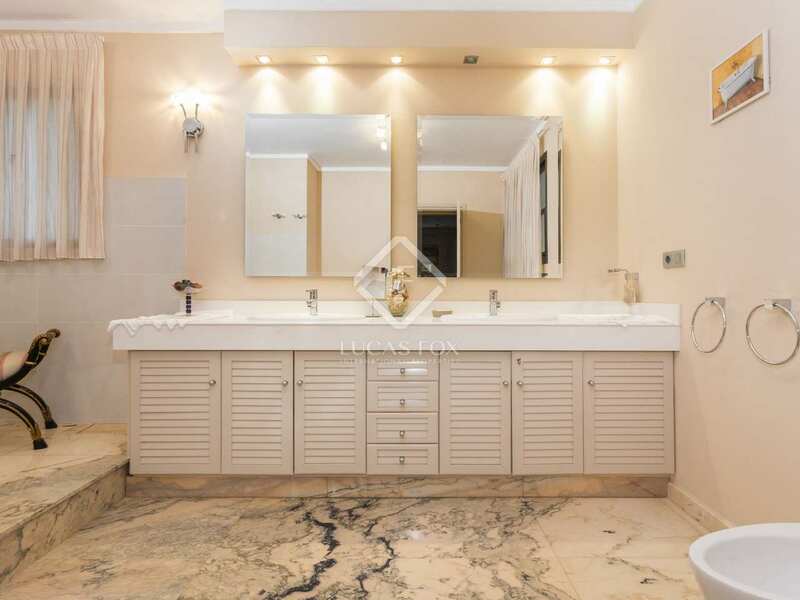 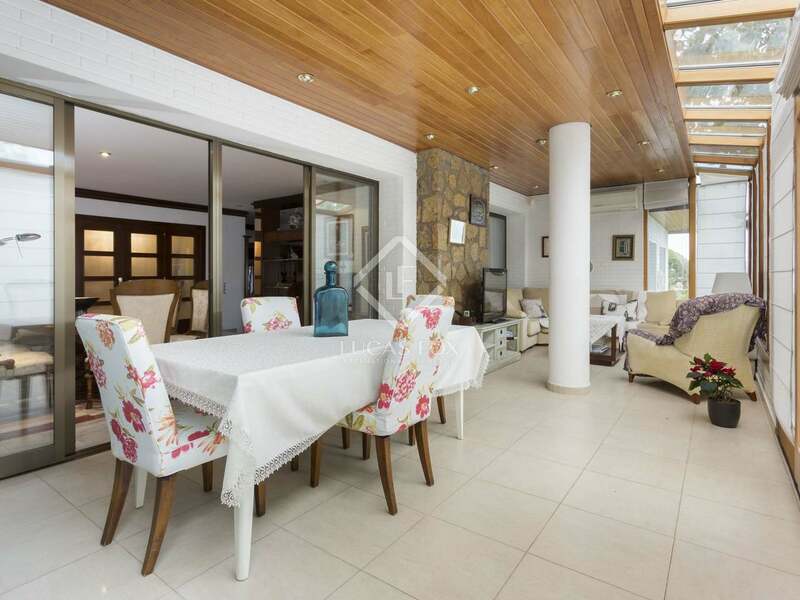 Well appointed 5-bedroom house with a garden and pool for sale in Ciudad Diagonal. 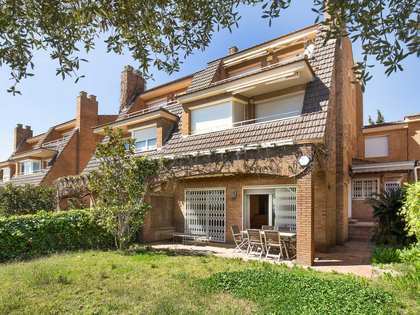 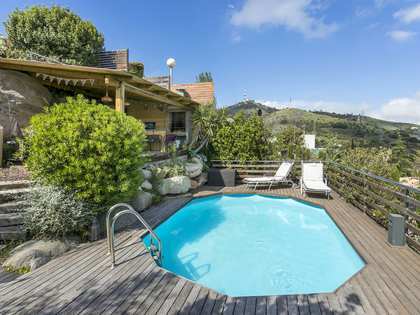 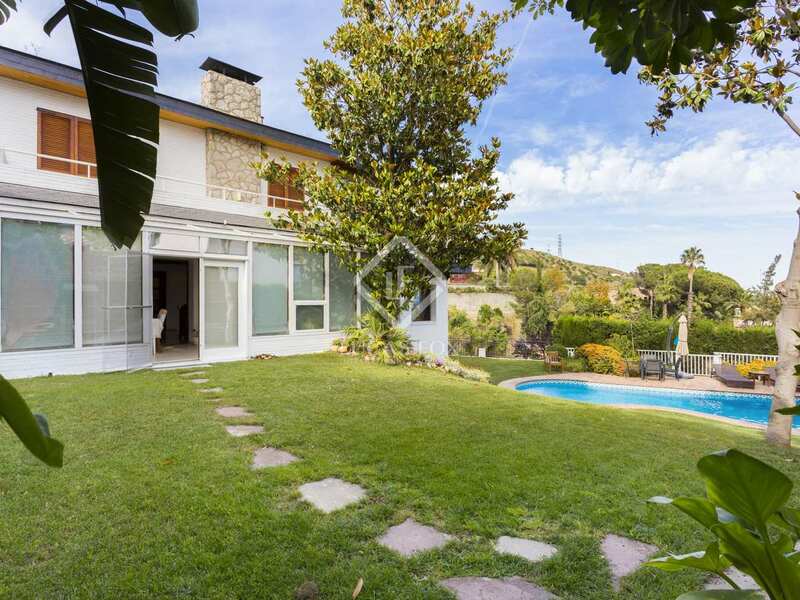 Attractive, sunny house with a pool and wonderful unobstructed views of the Collserola Natural Park and out to sea, on a quiet street in Ciudad Diagonal, very near international schools. 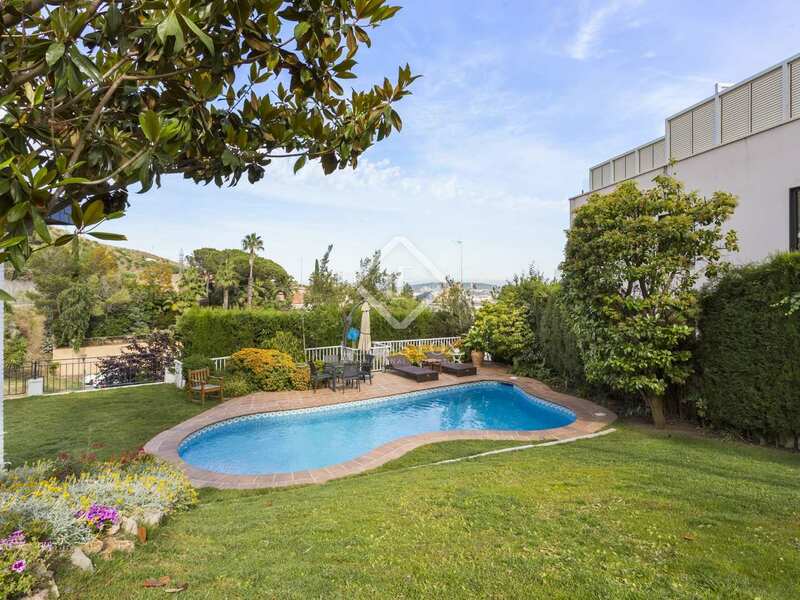 The property boasts a magnificent sloping, south-facing garden with a pool and trees and the house, built in 1987, has 3 levels and an attic. 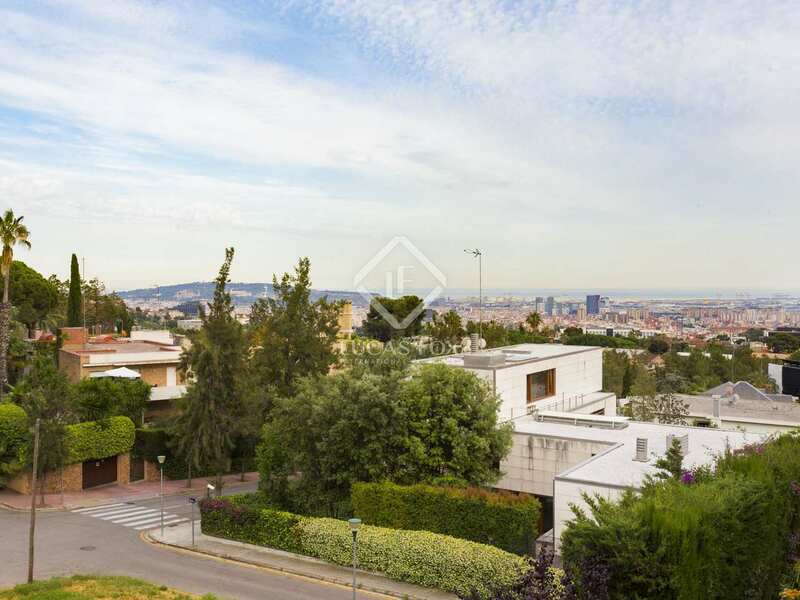 The house has a built area of 580 m² plus some terraces according to the architect's plans (488.27 m² in Nota Simple) and sits on a plot of 785 m². 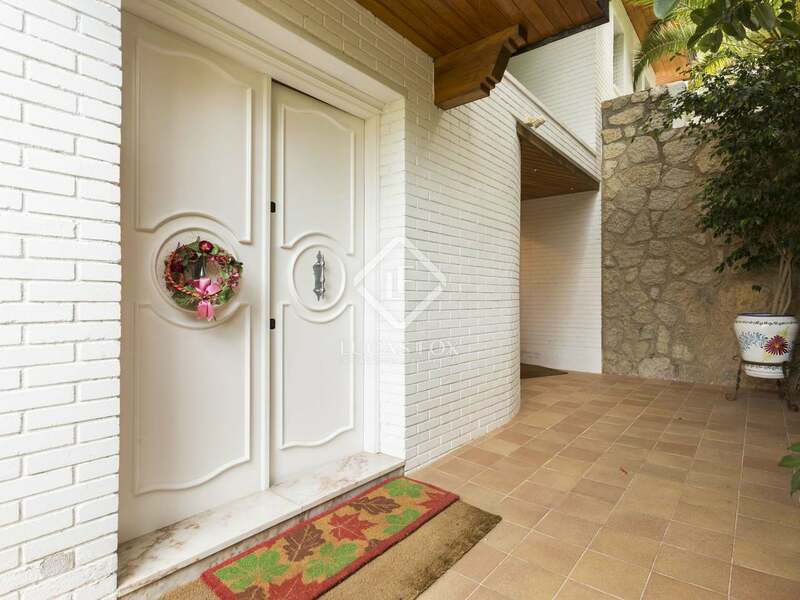 We park the car in the large garage on the lowest level of the house. 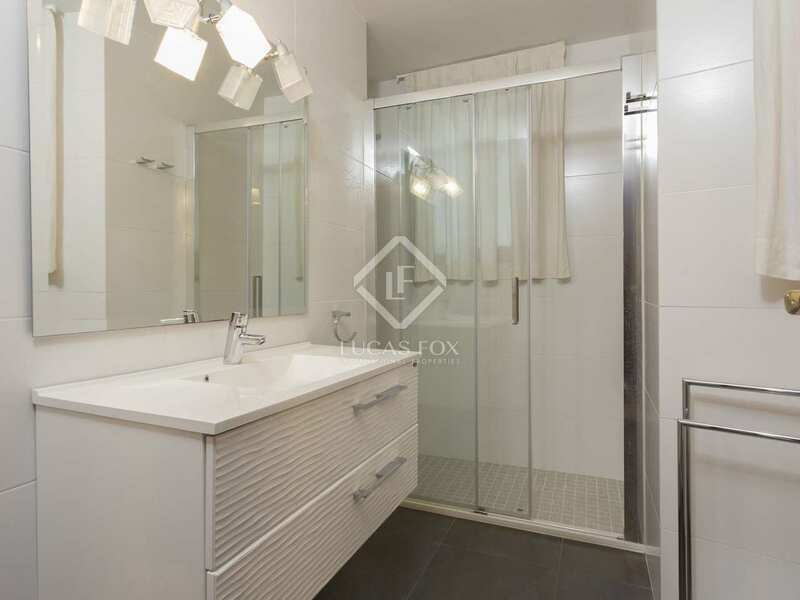 One floor above this is the service bedroom and bathroom, a storage room, bodega and the machine room. 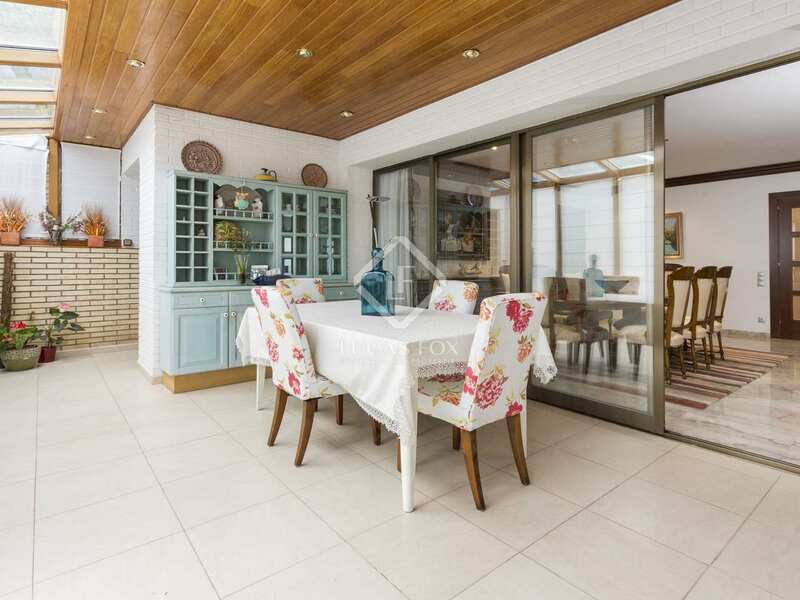 The ground floor offers a spacious, split level living room – dining room facing south-east with great views, a kitchen with access to the garden via a pleasant summer lounge, a utility room, bathroom and a double bedroom. 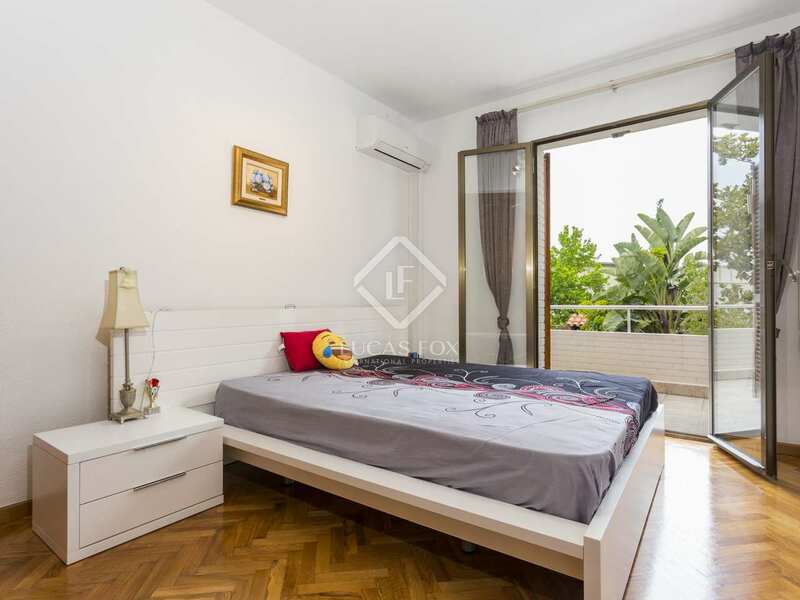 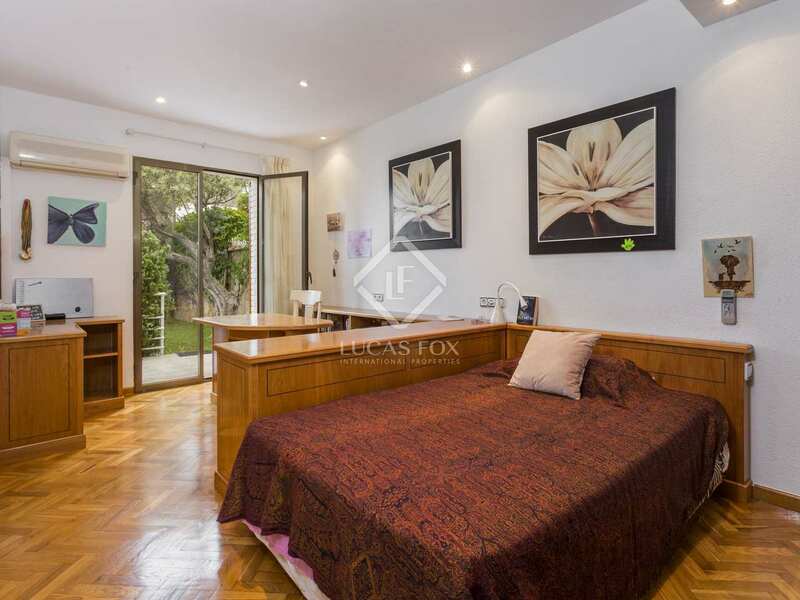 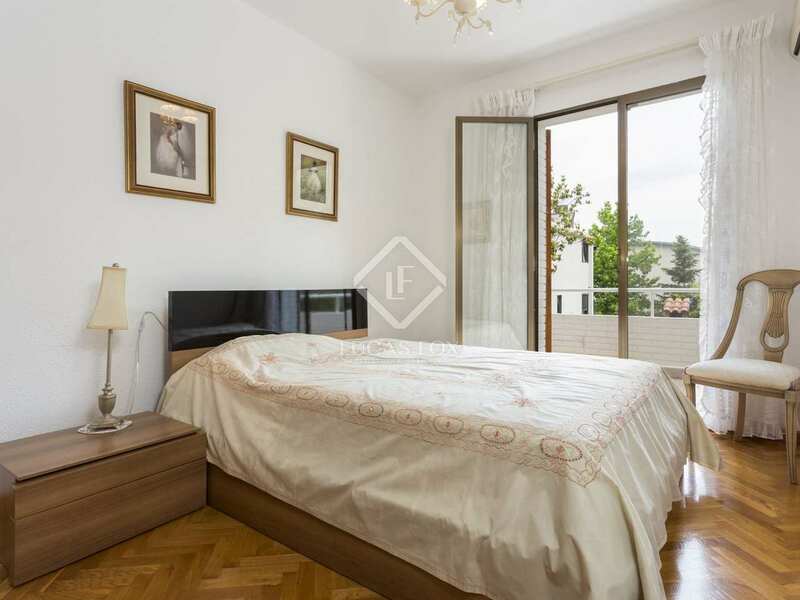 The 3 remaining double bedrooms are found on the first floor and they all enjoy direct access to the south facing terrace of approximately 24 m² with views of the garden. 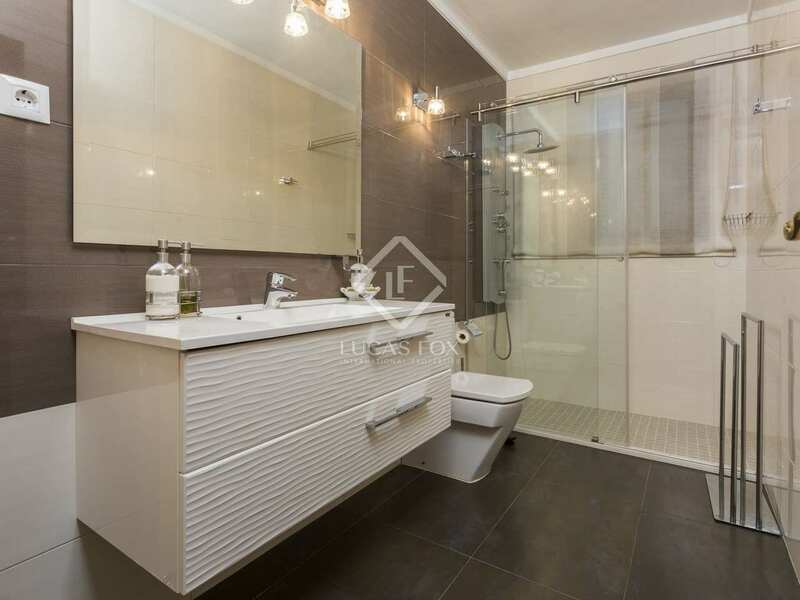 Of the 3 bedrooms on this floor, 2 have their own en-suite bathroom. 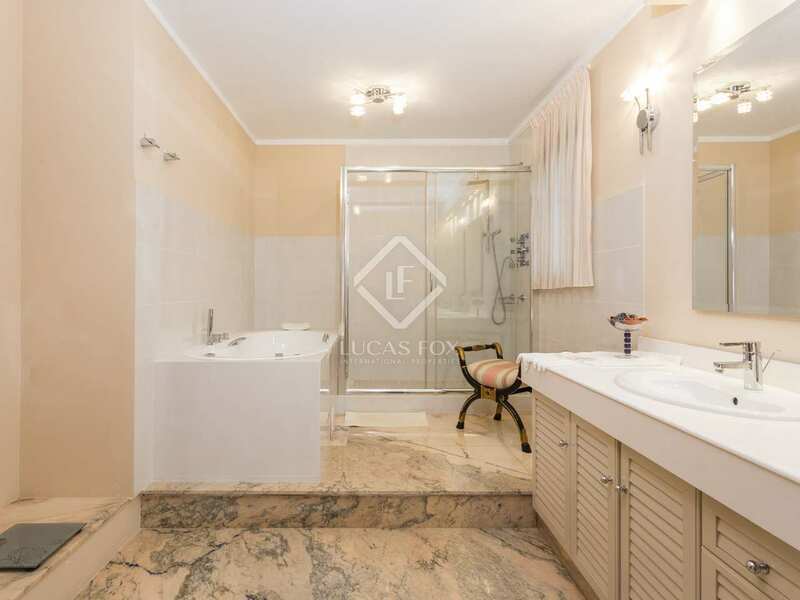 The master bedroom enjoys a particularly large en-suite bathroom with a hydromassage bathtub and shower. 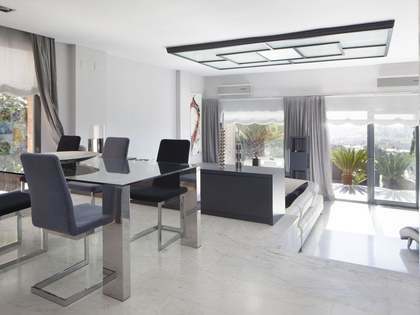 What's more, it has a dressing area and another room that can be used as a gym or study for example, with lovely views. 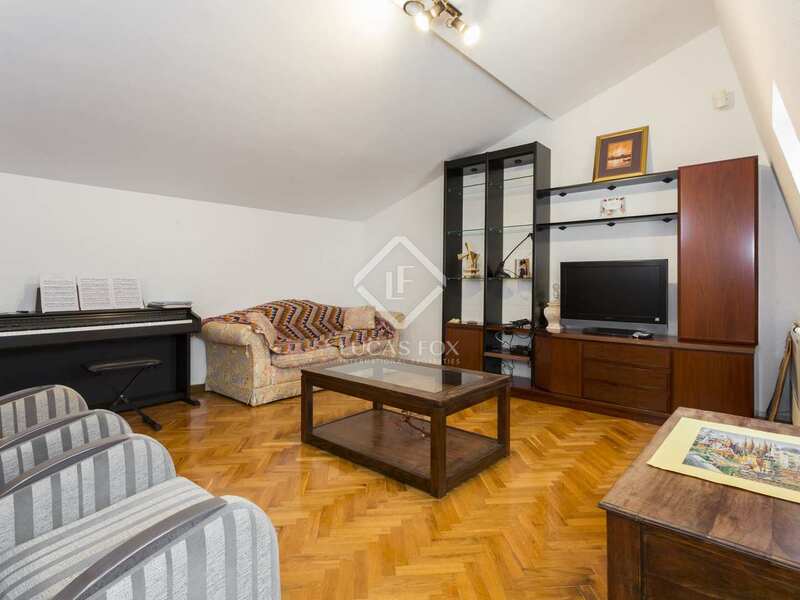 The attic has been left as a multipurpose space to be used however the new owner wishes. 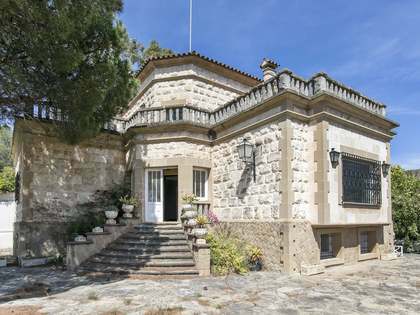 Given that the house has several levels, the buyer may wish to install a lift and would, in that case, receive a €40,000 discount on the price of sale. 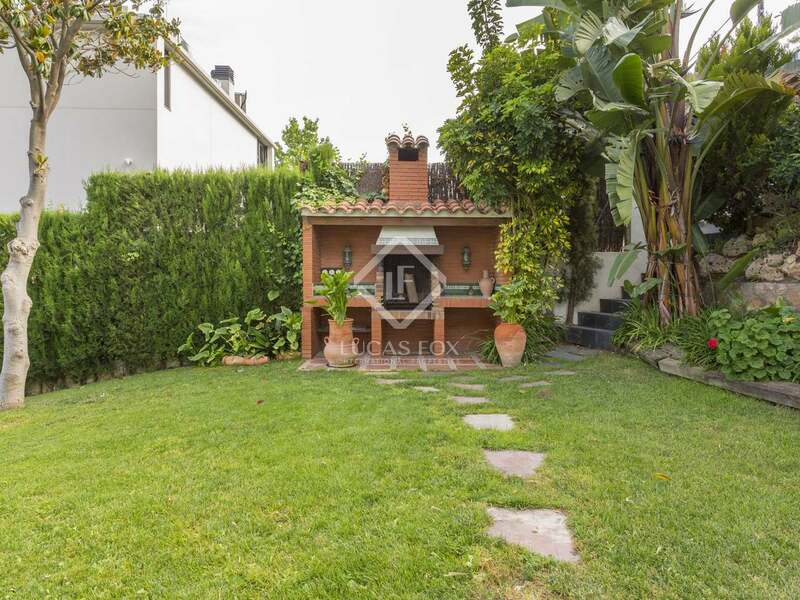 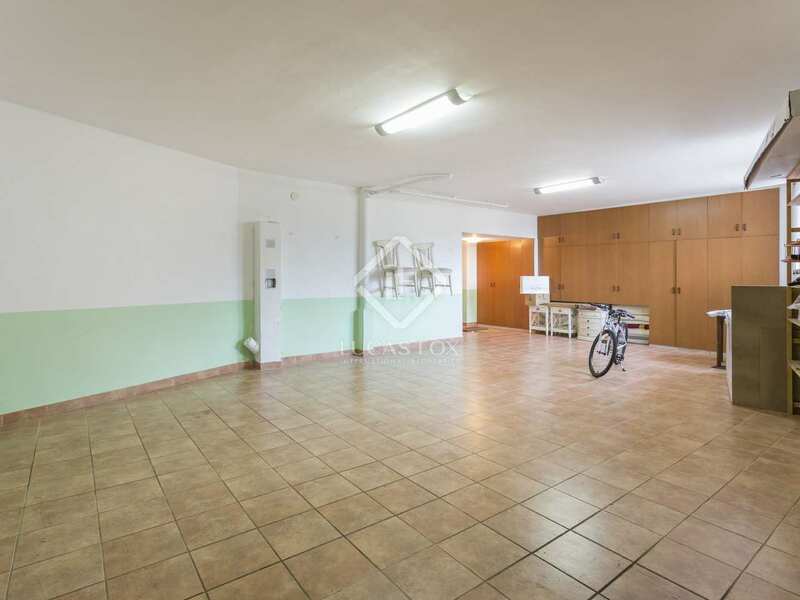 This property would be ideal for a family due to its size and the proximity to reputable schools and it has a potential rental yield of 4%. 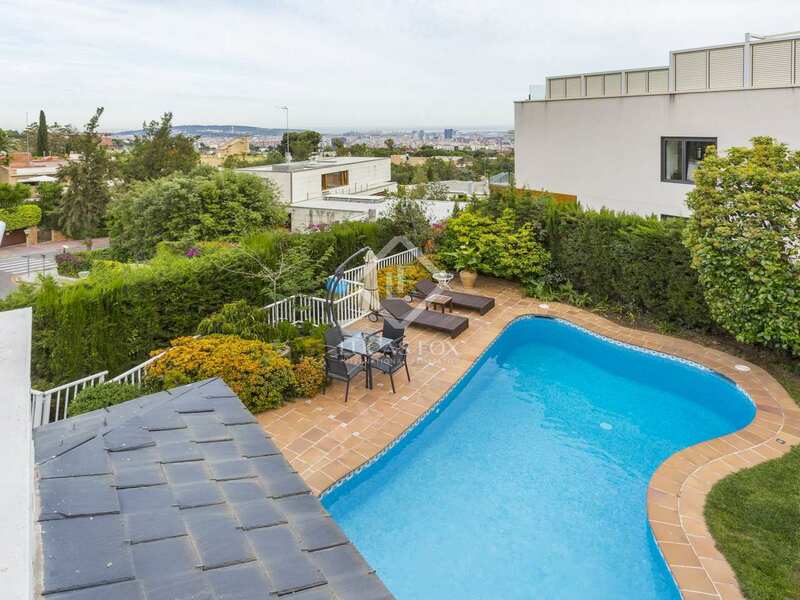 House located in Ciudad Diagonal, Esplugues. 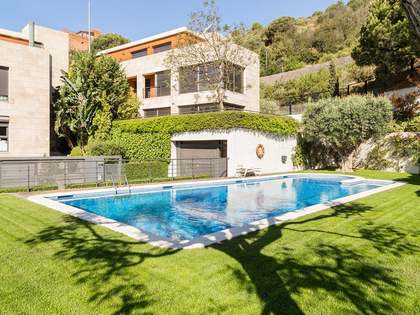 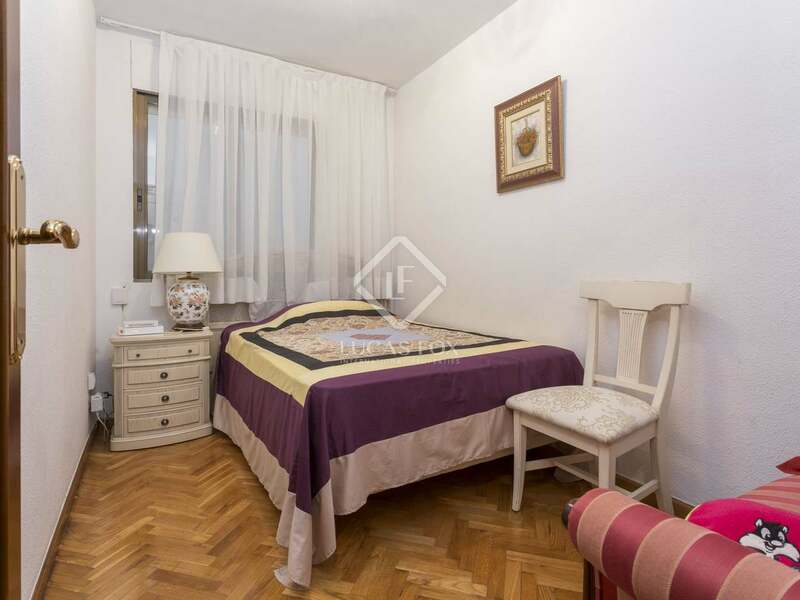 20 minutes from Barcelona via Avenida Diagonal. 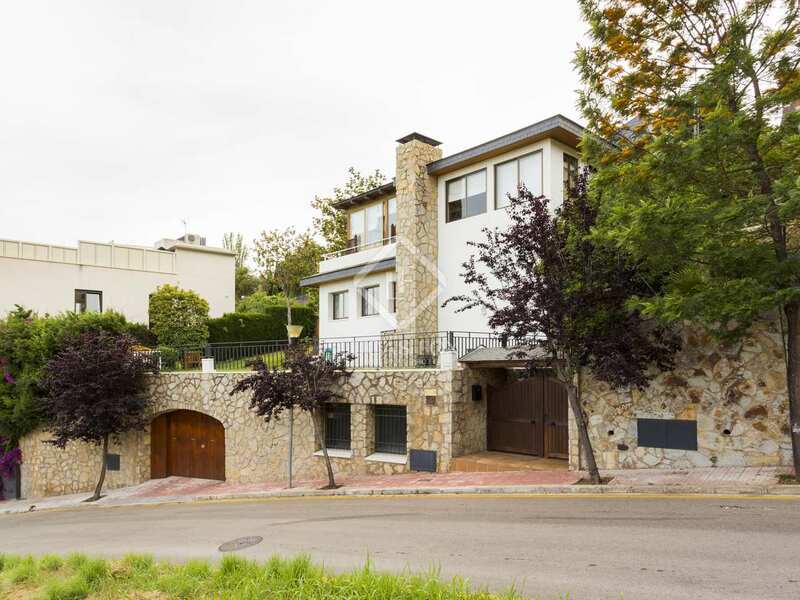 Bus service every 15 minutes to the university area.